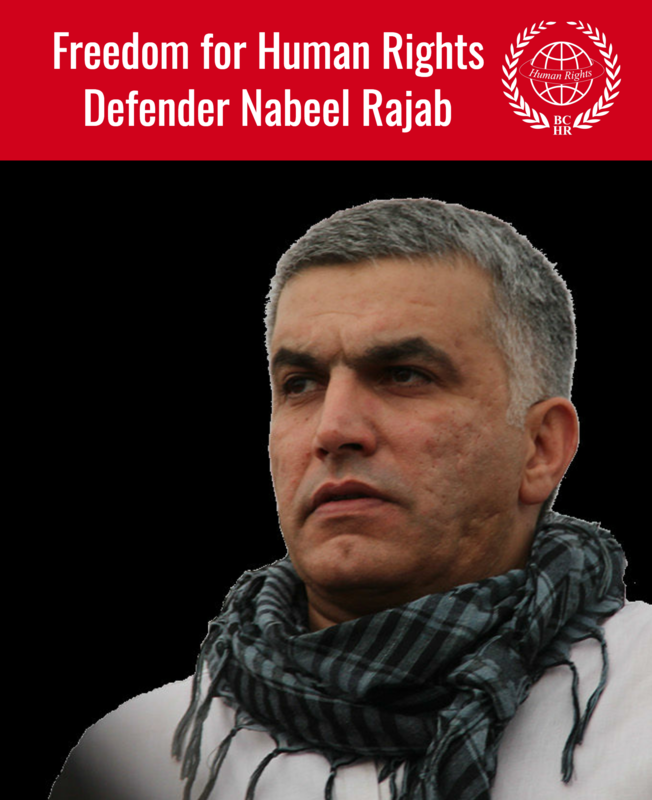 The Bahrain Center for Human Rights expresses its utmost concern for the extra judicial killing today of a fourteen year old boy by security forces: Sayed Mahmood Sayed Mohsen Sayed Ahmed. Sayed Mahmood Sayed Mohsen was participating in the funeral procession of Ali Faisal Al-Akrawi on the afternoon of 21 May 2014 in Sitra. The funeral procession was attacked by security forces using shotgun pellets and tear gas. Eye witnesses stated that two police vehicles and a police helicopter were involved in the pursuit of the protesters. The BCHR was able to interview one of the eye witnesses who was present at the scene. The witness reported that Sayed Mahmood was running away from one of the police armored vehicles, when two officers on foot ambushed him from a side street and shot him in the chest a range from a range of 2-3 meters with shotgun pellets. Sayed Mahmood fell to the ground and was injured during his fall. He was reported to be foaming at the mouth while the police officers surrounded him, and continued to fire pellets at the protesters; no attempt was made to help the severely injured child. After approximately ten minutes, the police left the scene, and left Sayed Mahmood lying on the ground. He tried crawling away in search of help, but he was unable to move. A number of youth then approached him, one of them made a call of distress. He was put in a car and moved to the hospital, and pronounced dead on arrival. Sayed Mahmood was in his last year of elementary school; he was not wanted by the authorities. Although he was not taking photographs during this incident, Sayed Mahmood was well known as a photographer during protests. The images below of Sayed Mahmood in the hospital show the injury, and according to a medical doctor, the narrow spacing between the pellets indicate that he was shot from a very close range. The map below depicts the neighborhood in the village of Sitra where Sayed Mahmood was killed as indicated by the eye witness. The child was running away from the police in the direction of the black arrow. The second police car ambushed him from the direction of the red arrow. The pin marks the Shaikh Abdullah Mosque as a reference point. The BCHR has obtained an audio recording of the distress call made by one of the youth. International NGOs wishing to obtain a copy can request the information, but it will not be release publicly for security reasons. 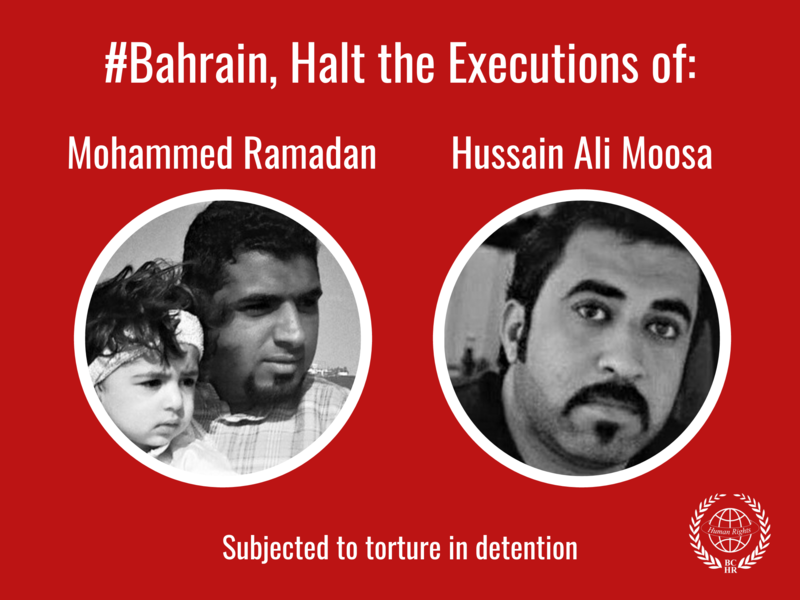 The lack of international accountability enables local impunity in Bahrain; allowing such severe violations of human rights to continue. Of the 96 extrajudicial killings documented by the BCHR that have come as a result of the government's excessive use of force, only a few low-level police officers have been taken to trial for their crimes. Typically, the policemen are acquitted, or the 7 year sentence is reduced to six months in prison, and the BCHR has not been able to confirm that policemen convicted have actually been held in detention. One such example is that of Mohammed Khashram - see the card below.